Royalty-free stock illustration of a little boy wearing glasses, having his chest listened to by a female doctor with a stethoscope. 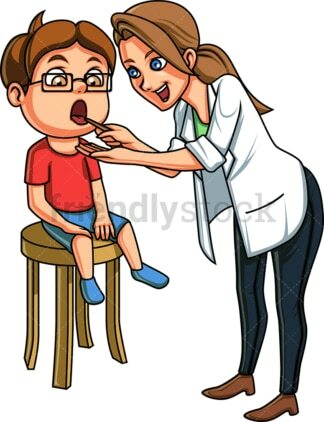 Royalty-free stock illustration of a little boy wearing glasses and having his throat looked at by a female doctor. Royalty-free stock illustration of a little boy wearing glasses, and having his ear checked by a female doctor. 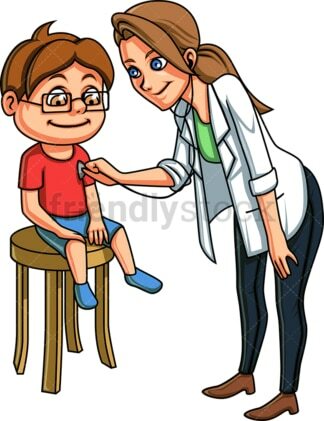 Royalty-free stock illustration of a little boy wearing glasses, and getting a vaccine by a female doctor. Royalty-free stock illustration of a little boy wearing glasses, and having his back listened to by a female doctor. Royalty-free stock illustration of a little boy wearing glasses and waiting patiently on a hospital bed for a female doctor to take his temperature with a thermometer. 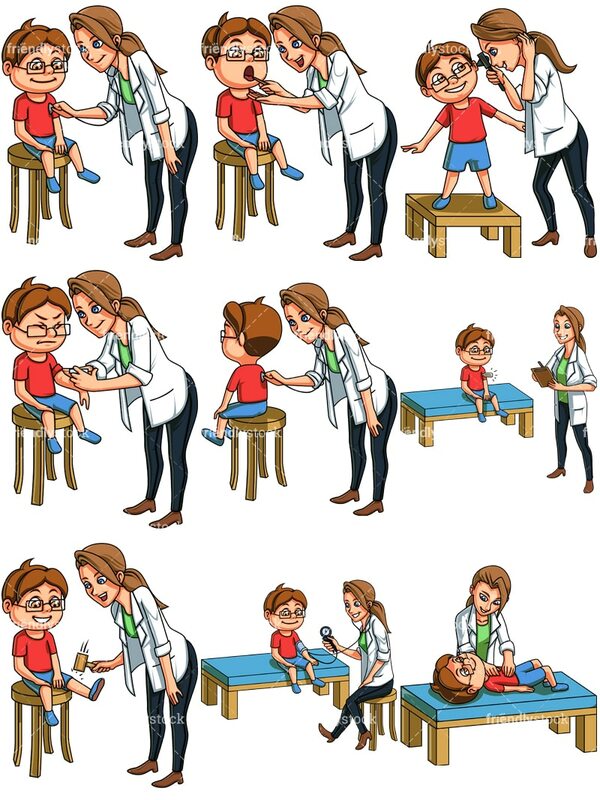 Royalty-free stock illustration of a little boy wearing glasses, sitting on a stool and getting his patellar reflex checked by a female doctor. Royalty-free stock illustration of a little boy wearing glasses, sitting on a hospital bed and waiting while a female doctor measures his blood pressure. 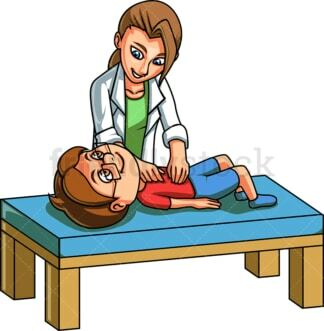 Royalty-free stock illustration of a little boy wearing glasses, and lying in a hospital bed while a female doctor presses his tummy.